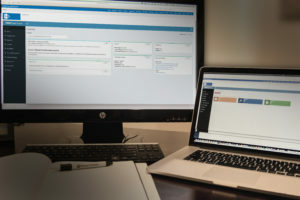 The ISMScloud service is a secure, online application that can help you manage and document the process of getting and maintaining your HIPAA / HITRUST, ISO 27001, GDPR or FedRAMP Moderate or High compliance, securing your company’s information system, and protecting your business and employees’ privacy and data. The ISMScloud Service was created by Project Hosts, Inc, a recognized leader in secure cloud services and hosting of HIPAA / HITRUST, ISO 27001, GDPR and FedRAMP SaaS compliant deployments on Azure. To help other companies secure their information management system and achieve their security certification, we’ve taken our knowledge and expertise and created an online service to simplify, speed and essentially ensure that you’ll pass the certification process. We did! With the ISMScloud you’ll find it easier to get, and continue to maintain your HIPAA/HITRUST, FedRAMP, GDPR or ISO 27001 certification. The system provides baseline security controls, and helps you manage all of the controls, implementation write-ups, internal audits, security findings and fixes. ISMScloud is a secure, online software application that includes a single, common document repository system. This simplified database architecture keeps all your documents in a secure, organized, easily accessible, and cross referenced environment. The system enables you to get going quickly, and follow a best-practices approach. The online service is organized around each individual control, making the task of documenting and implementing your control methodology and assigning proofs very straightforward and easy.